Winter driving skills can make or break a powder day. After all the discussions about tires and all wheel drive, the most important component in your vehicle is still the driver. Years of winter driving have made many of us comfortable on snowy roads. But, how many of us have actually had any real driving instruction since drivers ed in high school? Taking that one step further, how about winter driving instruction? Skip Barber Racing School has been offering various forms of driving instruction since 1975. Hunter Mountain has invited Skip Barber Racing School to offer a Winter Driving School event starting Monday night February 24 and continuing on Tuesday February 25. There will be tech talks with the instructors on Monday night during the meet and greet dinner and first thing Tuesday morning. Classes will be small to provide maximum instruction time. Some of the topics include evasive maneuvers, working with the car’s braking and stability controls, anticipation and vision, skid pad work, and overall car control for winter weather. 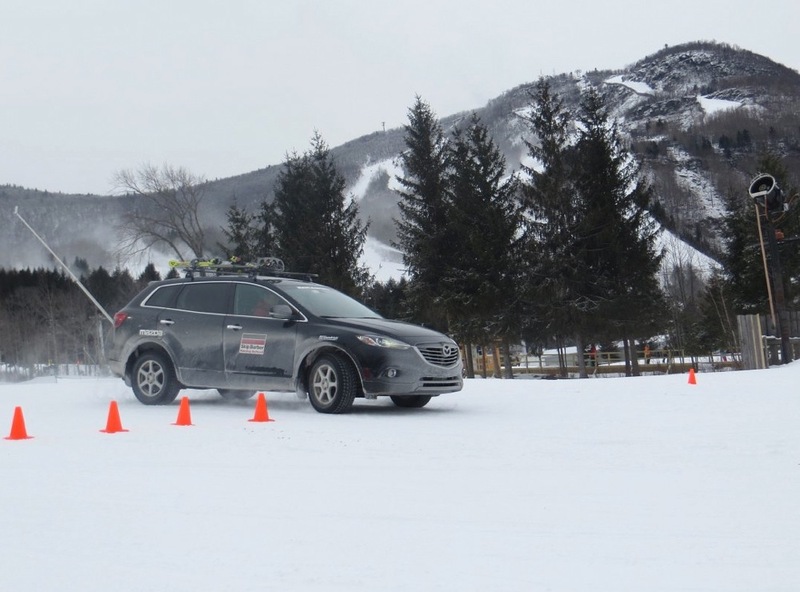 After the brief morning tech talk all participants will have one-on-one instructor time driving the provided rear-wheel drive, front-wheel drive and all-wheel drive Mazda vehicles. Instructors will teach participants how to handle the many variable winter conditions we see during winter driving. Those of us living in the flatlands sometimes encounter sleet, ice, and snow all on the same trip. Hunter has created two Skip Barber approved test courses at the mountain that replicate the conditions we see as winter drivers. This is a chance to improve your driving skills in a controlled environment with highly maintained vehicles. It is an opportunity that should not be missed. The Skip Barber Winter Driving School at Hunter Mountain will include lodging at the Resort’s Kaatskill Mountain Club, dining in Van Winkle’s Restaurant, technical instruction, and of course, the first hand driving experience. For more information visit HunterMtn.com. Thanks for the post. This comment is just to thank you for reposting Coach Z’s posts on teaching kids. Great idea. Unfortunately, not within my budget. Wow! This blog is magnificent. I really like reading articles about Driver Training. Driving expertise is polar to passing a road or skills test.